As Student Affairs professionals, we always encourage our students to make the best out of their college experiences by getting involved and becoming student leaders . How wonderful it is to see them take initiative and do great things within their organizations! As an advisor to several student groups, I see the effort students put into managing their organizations and putting on programs that educate, enlighten and entertain both their peers and other members of the Hofstra community. Balancing the challenges of maintaining good academic standing and being a student leader is by no means an easy task. It takes dedication, practice and patience but ultimately students are overwhelmingly grateful for the end product of a well rounded college education. I wanted to take a moment to reflect on the accomplishments of two of the multicultural student organizations. 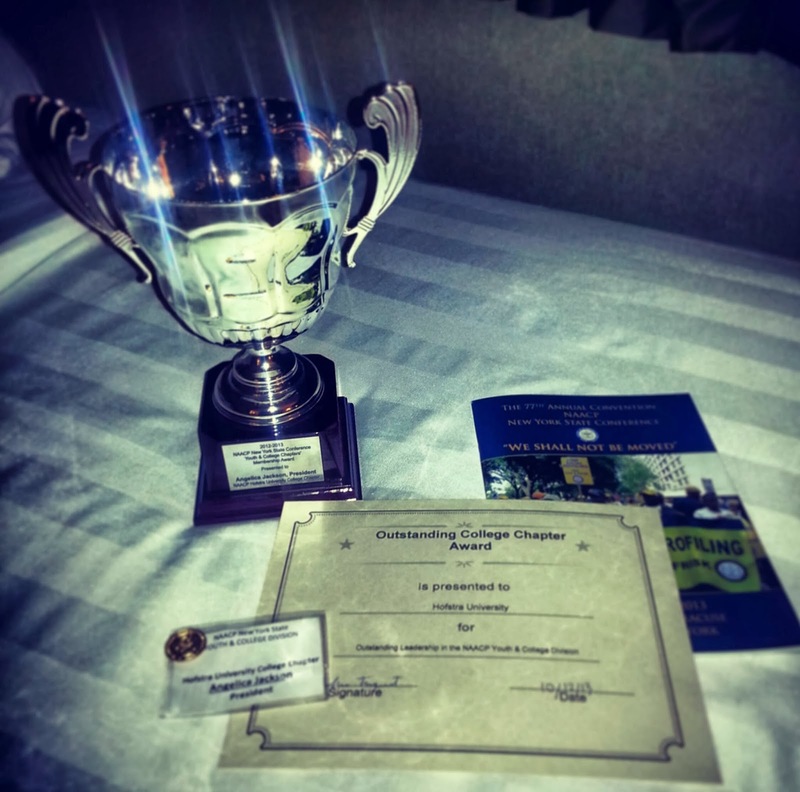 Last semester, the Hofstra Chapter of the NAACP was a proud recipient of the Outstanding Chapter of The Year Award and The Membership Award given to them at the NAACP New York State 77th Annual Convention in Syracuse, NY in the fall. 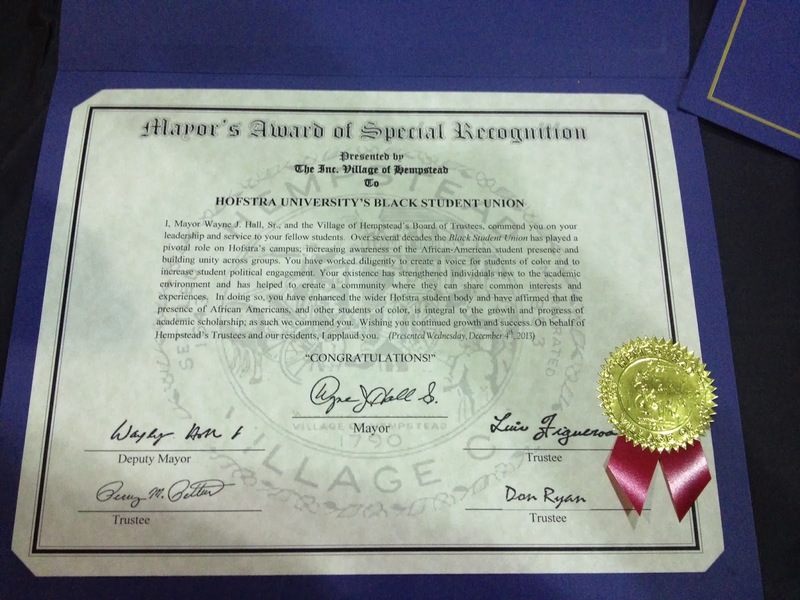 Similarly, the Black Student Union received the Mayor of Hempstead Award of Special Recognition for their Kwanzaa Ceremony which took place in December. We are very proud of our student groups and all the hard work they do in their respective groups. We are eager to see and experience all the wonderful programs they bring to Hofstra this semester. 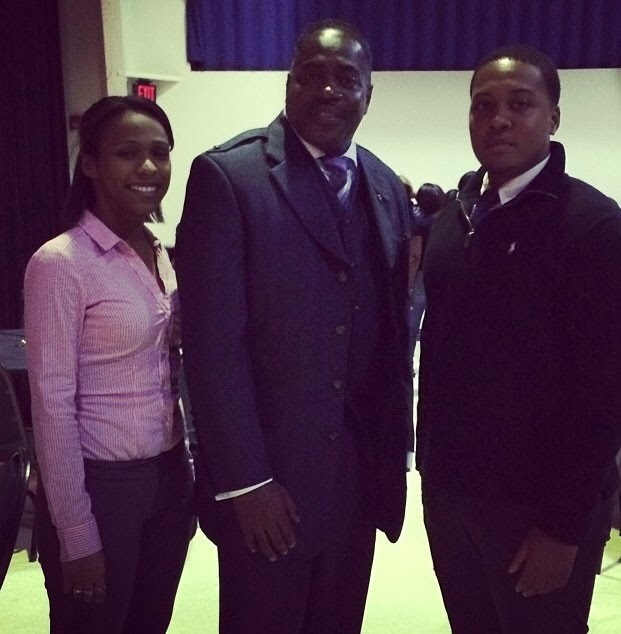 Congrat's to our NAACP and BSU organizations! Thanks for all of your hard work, dedication, and making a difference in the lives of our students.